Creatine is found naturally in the body. Supplementation with creatine monohydrate has been shown to increase physical performance. 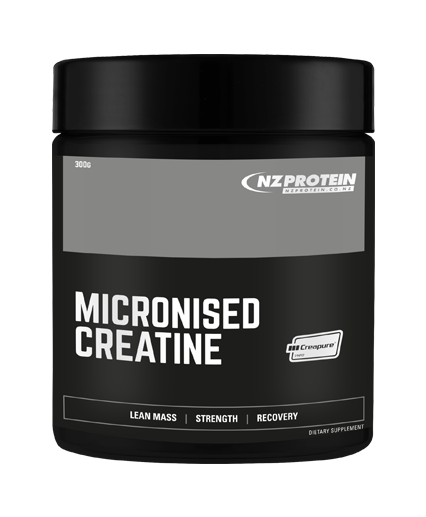 Creatine is a chemical that's found naturally occurring in the human body with about 95% found in skeletal muscle tissue in the form of phosphocreatine, and the rest in the brain, heart and testes. Creatine is also found in red meat and fish. In many respects creatine acts similar to an amino acid and our bodies can produce it from the amino acids glycine and arginine. The average adult has 80-130 grams of creatine naturally occurring in their body. 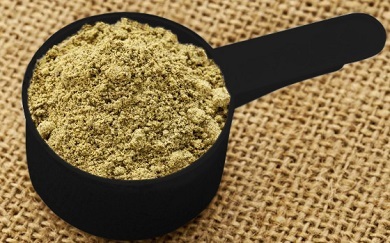 There are many factors, however, that can affect the amount of creatine available in the body including exercise level, body composition, dietary intake of creatine (from meat and fish), and hormone levels. Studies have consistently shown that additional supplementation of creatine increases the concentration of creatine in muscles and promotes a faster regeneration of Adenosine Triphosphate (ATP). ATP is a primary energy source that helps with various biological processes including muscle contraction. This energy also helps to fuel high intensity, short duration exercise such as weight lifting, sprinting, or any other exercise that uses fuel quickly. Research not only provides overwhelming evidence that creatine is beneficial for exercise performance and developing muscle in athletes, but that supplementation can also enhance recovery after exercise and prevent and/or reduce severity of injuries - assisting with rehabilitation and helping athletes tolerate intense training loads. Creatine is one of the most popular dietary supplements for athletes. It's also one of the most extensively studied too, with no proven adverse effects. Creatine can help to fuel high intensity exercise performance by increasing the amount of ATP available in the body. Supplementation with creatine has regularly shown to increase strength and muscle mass when taken in conjunction with heavy weight training. It may even be beneficial for injury prevention. In studies subjects who combined creatine monohdrate with resistance training gained about twice as much muscle mass during 1 - 3 months of training compared with a placebo group. These gains are a result of improved ATP synthesis provididing greater muscle contraction energy and allowing athletes to perform at a higher intensity. In a review of more than 150 studies of those taking creatine, subjects gained an average of 2.2% in lean body mass and lost 3.2% of body fat overall. There are various forms of creatine on the market and monohydrate is the most studied for athletic performance and health. Although all forms of supplemented creatine increase concentration of creatine in muscle, monohydrate is the most common form and is the most effective according to the International Society of Sports Nutrition. Creapure® IS creatine monohydrate. It's just been been further refined to remove impurities and unnecessary by-products. The resulting product is a creatine monohydrate that's potent and 99.99% pure. 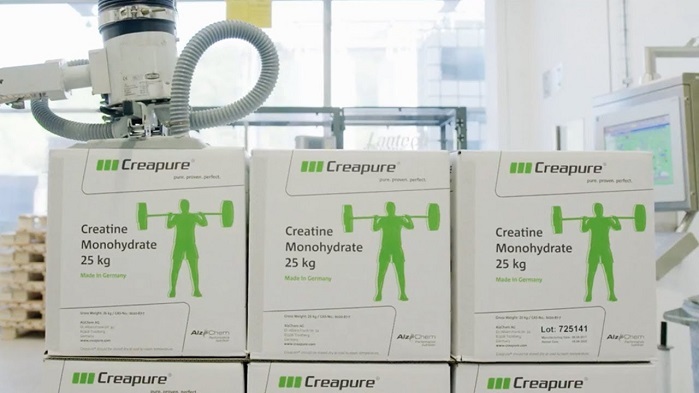 Creapure® is world-renowned for being the most pure micronised creatine available on the market and regarded as the "ultimate creatine for lean mass, strength, and recovery". It's manufactured by AlzChem in Germany to Good Manufacturing Practises (GMP) and every batch is rigorously tested using high-end High Pressure Liquid Chromatography (HPLC). Though this extra purification process increases the cost slightly, it's also safer as it's the only creatine consistently tested to be free from toxic impurities including creatinine, dicyandiamide, dihydrotriazine and thiourea. Creapure® is tasteless and odourless. It mixes easily easily in water or juice and doesn't readily settle to the bottom. There is no gritty taste or texture that one may experience with other creatine products. This product is micronised meaning that it's very fine. It's tasteless and odourless and mixes easily into almost any liquid. For best results, many people mix it into their pre or post workout drinks that contain fast-digesting protein (such as Whey) and fast-digesting carbohydrates. Consuming it this way can assist with the uptake of creatine by muscle. Creatine is commonly supplemented with a loading phase or a maintenance phase. Recommended dosage with a loading phase: 5 grams of Creapure® 4 times a day for 6 days, followed by a maintenance phase of 2-5 grams a day. Recommended dosage without a loading phase (maintenance phase): 3 grams of Creapure® a day for 4 weeks, followed by a maintenance phase of 2-5 grams a day. The loading phase is entirely optional and depends on personal preference. There's evidence to suggest that the loading phase can be beneficial because it saturates muscles with creatine faster. Other studies show that consistent smaller intake of creatine saturates the muscle equally well - it just takes a little longer to saturate the muscle. Creatine does not need to be cycled. Though perceived muscle size and strength may be enhanced fairly quickly, it may be best to take creatine consistently for several months as it works to support muscle development in the longer term. According to the International Society of Sports Nutrition supplementing with creatine monohydrate is safe, effective and ethical. Creatine monohydrate is one of the most studied nutritional aids for athletes and there is no scientific evidence that it causes any negative effects on healthy individuals in short or long term use. Weight gained while taking creatine is just due to water retention. Creatine can cause kidney complications. Creatine causes cramping, dehydration (and/or altered electrolyte levels). That long term effects aren't known. Newer formulations and versions of creatine are more effective than monohydrate and have less side effects. Creatine supplements are illegal, steroids, or unethical to use. All of these myths have been disproven and are uncredible according to the International Society of Sports Nutrition. In any case, always make sure to consume plenty of water when consuming creatine and undertaking strenuous exercise. *Please note that while every care is taken, this product is processed in a facility that also handles milk, egg, soy, and gluten ingredients. Rated 4.83/5 Based on 6 customer reviews. If you want healthy gains naturally, look no further than this product. Best value and quality creatine monohydrate I have found on the market so far! Awesome product, used with the BCAA and good training programme and diet, biggest I've ever been and just continually growing. Wonderful product once again from NZProtein! Exceeded all expectations. With 3 grams of Creapure per serve.